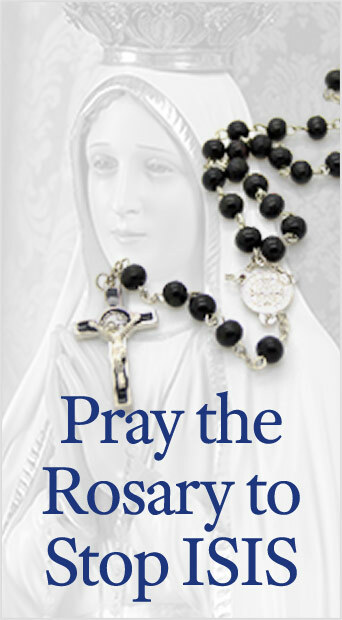 Throughout Her long and glorious history, the Catholic Church has endured persecution as well as moments of triumph. The Health and Human Services (HHS) regulations mandating Catholics and Catholic organizations to offer contraceptive, abortifacient and sterilization coverage in their insurance plans is just the latest chapter in this persecution. It is not the first time, the Church has faced persecution nor will it be the last time. She has often found Herself alone in the coliseum. In the case of the HHS mandate, there is something different. A strange thing is happening on the way to the coliseum. Normally, we expect to hear cries of: Down with the Christians! amid the roars of lions. Usually, there is the classic and unanimous exhibition of hostility to the Faith that turns the arena into a horrific spectacle. But this time around, as we Catholics look up into the stands, we hear scattered cries of Freedom of Conscience! Let there be freedom! or even We are all Catholics now! The unexpected support from these spectators is undoubtedly welcome even if it comes from the safety of the stands. It does, however, lead us to ask why we are alone in the coliseum and why the others are still sitting in the stands and not joining us in the arena with the lions and wild beasts. The answer to that question lies not only in the fact that our religious beliefs are at odds with government regulations. Rather, we are in the arena because we uphold a higher and unchangeable natural law that is the same everywhere and binds all men in all times. The mere existence of those who affirm an unchangeable moral law is intolerable to those who wish to transgress this law with impunity. 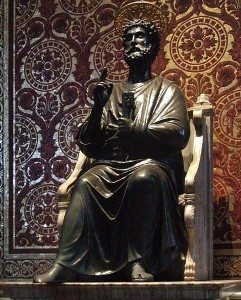 Thus, the early Christians, who posed no physical threat to the might of Rome, represented a censure to the decadent Romans whose response was to throw the Christians to the lions to appease their heavy consciences. In the same way, the Catholic resistance to birth control, abortion and sterilization represents that same censure to our own decadent society. The wild beasts are merely replaced by nameless bureaucrats. The Church’s fidelity to its Magisterium will not allow it to change regarding the moral law. The Church must speak out and oppose all that is contrary to this law. There is yet one more element that assures our lonely place in the arena. While others may believe in a natural law and hold positions similar to those of Catholics, only the Church has a Magisterium, which is a body of doctrine based on Scriptures and tradition that consistently interprets Church teaching and morals over the ages. Others outside the Church have often changed their teachings to accommodate the ways of the world. The Church’s fidelity to its Magisterium will not allow it to change regarding the moral law. The Church must speak out and oppose all that is contrary to this law. The adversaries of the Church realize this intransigence and have always targeted us as a result. We must, of course, legally and peacefully fight back in this Cultural War. And this we have done over the decades in a fight that has even been crowned with certain victories. However, when the time of outright persecution comes, we can have no illusions. 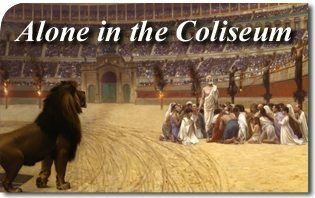 As long as we defend a higher law and hold true to the traditional Magisterium of the Church, we will more often than not be alone in the coliseum. This entry was posted in Catholic Perspective and tagged abortion, arena, birth-control, Catholic Perspective, Christian, Church, coliseum, conscience, culture, faith, Family, fidelity, freedom, HHS, human, Law, Magisterium, mandate, moral, natural, Roman, Rome, Scripture, society, sterilization, TFP, Tradition by TFP.org. Bookmark the permalink.